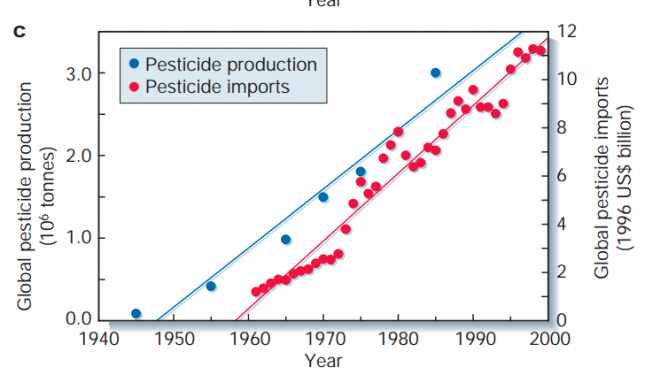 This increase parallels the growth in manufacture and use of agricultural chemicals. One of the fastest growing patient groups covered by Medicaid is children with developmental disabilities. Over the last 12 years, the prevalence of developmental disabilities (DDs) has increased 17.1%—that’s about 1.8 million more children with DDs in 2006–2008 compared to a decade earlier: autism increased 289.5% and ADHD increased 33.0%. autism, Down syndrome, and other intellectual and developmental disabilities (I/DD); physical disabilities such as cerebral palsy, spina bifida, and muscular dystrophy; mental health needs such as depression and anxiety; and complications arising from premature birth. They may need nursing care to live safely at home with a tracheotomy or feeding tube; attendant care to develop community living skills; medical equipment and supplies; mental health counseling; and/or regular therapies to address developmental delays. One source puts the annual cost of caring for a child with severe autism at $72,000. Consider the case of Eva Galindos, a twelve-year-old girl with autism. At age three, she was diagnosed by her pediatrician, but he could not answer the parents’ urgent questions about why this happened to their child. Seeking answers, the Galindos family participated in a study. At the time of Magda Galindos’ pregnancy with Eva, “the family was living in Salida, a small town in central California surrounded by fields of almonds, corn, and peaches. The Galindos could see the planted fields just down the street from their stucco house.” Magda recalled the acrid smell of chemicals sprayed on the fields, very different from the fertilizer odor. The study revealed that during pregnancy, Magda had been exposed to chlorpyrifos. In 2014, the first and most comprehensive look at the environmental causes of autism and developmental delay, known as the CHARGE study, found that the nearby application of agricultural pesticides greatly increases the risk of autism. Women who lived less than a mile from fields where chlorpyrifos was sprayed during their second trimesters of pregnancy, as Magda did, had their chances of giving birth to an autistic child more than triple. And it was just one of dozens of recent studies that have linked even small amounts of fetal chlorpyrifos exposure to neurodevelopmental problems, including ADHD, intelligence deficits, and learning difficulties. The American use of chemicals to eradicate insects both in homes and crops dates back to lead arsenate in 1892, but as early as 900 AD, poisonous arsenic sulfides were used in China. The search for a substitute [to lead arsenate] commenced in 1919, when it was found that its residues remain in the products despite washing their surfaces. Alternatives were found to be less effective or more toxic to plants and animals, until 1947 when DDT was found. The use of lead arsenate in the US continued until the mid-1960s. It was officially banned as an insecticide on August 1, 1988. DDT (Dichlorodiphenyltrichloroethane) quickly took the place of lead arsenate, even though research as early the 1940s had shown its harmful effects. After Rachel Carson’s expose Silent Spring pointed the finger at DDT for poisoning wildlife and the environment and endangering public health, the chemical was targeted by a growing anti-chemical movement. In 1967, a group of scientists and lawyers founded the Environmental Defense Fund with the specific goal of banning DDT. Despite continuing efforts, DDT is still produced for ‘vector control’ and for agricultural purposes in India, North Korea, and possibly other locations. At least three to four thousand tons of the chemical is produced annually. Like many chemicals, DDT persists in the environment as well as in tissue of all life forms. Its biological half-life in soil is up to thirty years. Organisms at the top of the food chain suffer greater exposure as the chemical and its major metabolites of DDE and DDD accumulate in animals and plants which are then consumed by other animals. Among its effects, DDT is an endocrine disruptor which can cause cancerous tumors, birth defects, and other developmental disorders. 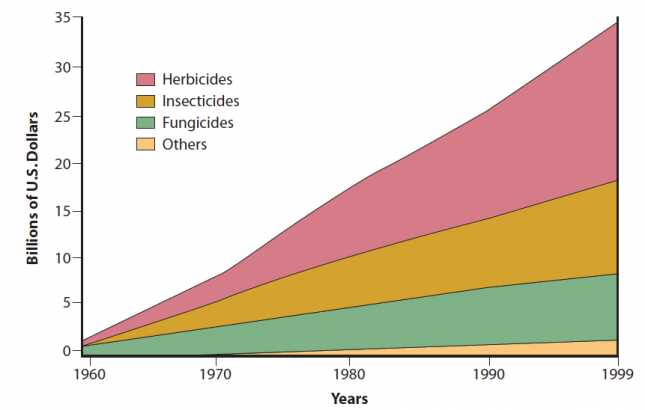 With the ban on DDT, farmers and other chemical consumers turned to chlorpyrifos. Despite the overwhelming evidence that chemicals lead to ever-increasing negative health effects, chemical companies are willing to spend whatever it takes to discredit the evidence in efforts to delay any meaningful regulation of those chemicals. In a lengthy article published January 14, 2017, in The Intercept, an online newsletter, author Sharon Lerner details the efforts of Dow Chemical to protect its lucrative products from EPA regulation. It’s a staggering indictment not only of Dow’s strong-arm tactics but also of the willingness of legislators and government agencies to ignore their duties to American citizens. Exposure to chemicals which are wreaking havoc on the nation’s children is suffered disproportionately by the poor. Agricultural workers live near fields where chemical sprays drift in through open windows. Inner-city poor live in housing that is routinely sprayed with pesticides despite the presence of children and pregnant women. Long-term exposure plus ingesting food laden with pesticides means that while autism rates among children across the U. S. population is one in 68, for women in poor neighborhoods or near commercial agriculture, the rate of impaired children is one in 21. Parents such as Magda Galindos can’t afford to move away from the fields where chemicals are sprayed. She also can’t afford to buy organic food, which is often twice as expensive. Her household income and the medical needs of her daughter Eva qualify for state and federal assistance. Which brings us back to Medicaid. In 2006, we did a systematic review and identified five industrial chemicals as developmental neurotoxicants: lead, methylmercury, polychlorinated biphenyls, arsenic, and toluene. Since 2006, epidemiological studies have documented six additional developmental neurotoxicants—manganese, fluoride, chlorpyrifos, dichlorodiphenyltrichloroethane, tetrachloroethylene, and the polybrominated diphenyl ethers. We postulate that even more neurotoxicants remain undiscovered. There are more than 80,000 chemicals registered for use today, many of which haven’t been studied for safety by any government agency. But that’s about to change…somewhat. President Obama today signed into law the Frank R. Lautenberg Chemical Safety for the 21st Century Act, named after the late senator who introduced a version of the bill in 2013. This marks the first overhaul in 40 years to the Toxic Substances Control Act of 1976, the nation’s main law governing toxic chemicals. Absurdly, the law only requires the EPA to test twenty chemicals at a time and each one has a seven-year test deadline before a five-year period during which industry is supposed to comply with any new regulation. At that rate, it will take over a century for all the current chemicals to be tested, all while about 20,000 new chemicals hit the market each year. This should be a hopeful note, but even in a best-case scenario where President Trump’s EPA enacts swift meaningful restrictions on chlorpyrifos and other chemicals saturating our soil, air, and waterways, the incidence of fetal exposure and the resultant impairment of so many of our nation’s young will not abate any time soon. These chemicals wash down our rivers and linger in oceans where we harvest seafood. They soak into the walls and floors of our homes, survive in cropland that produces our fruits and vegetables, and become even more concentrated in livestock feeding on those plants. Since developmentally disabled children form over half the nation’s Medicaid caseload at an estimated cost of about $300 billion (2015), legislators looking to reduce Medicaid expenditures should turn first to the nation’s agrochemical industries. In 2015, for example, Dow AgroSciences reported a full year profit of $962 million. In 2016, even after some losses, the company still enjoyed an $859 million profit. Monsanto and DuPont reported similar numbers. Why not impose a 50% tax on such profits? This would yield a modest $1.5 billion toward the Medicaid costs resulting (in part) from their products and serve as a powerful incentive to ensure such products are safe before they’re marketed. This entry was posted in American Culture, current events, Economics, government, social problems, Uncategorized and tagged ADHD, autism, birth defects, children, Down syndrome, environmental illness, federal and state taxes, hazardous chemicals, health care, insurance, Medicaid, parents, pollutants, taxes on March 12, 2017 by Denele Campbell.